Say what you like about the mayors of the Almanzora region, they don’t let much get them down. Fresh from their fights over the 10,000 (15,000? 20,000?) “alegal” homes in their towns, they have now got together and are demanding an aerodrome for the valley. The tecnicos developing the POTAL (Plan de Ordenación Territorial del Almanzora, a regional development and urban planning map) have agreed to add the request to the overall “wishlist” of Nice Things To Have. Now, the word used is “aeródromo“, which, for me at least, isn’t a full blown airport. So I’m not entirely sure what these mayors expect from an air strip, as by definition an aerodrome isn’t equipped for international travel. Short term hops to Murcia / Almería airports? Microlights? Anyway, ignoring this nonsense which will never come to pass (it’s election time, people!) a more concrete proposal to have surfaced is a Vía Verde, or “green way”. The idea behind a Vía Verde is that it’s a rambling / cycling track going through nice areas, and this one is supposed (not sure of the proposed route) to wind it’s way through the mountains up the valley. Lucainena de las Torres has a very nice one. Seems all the mayors are in agreement and the only thing lacking is a bit of cash to put signs up / pave the nastier bits, so with a bit of luck they’ll soon have one. Back in, oooh, 2007, I was involved in a proposal to build a Vía Verde on the old railway line from Bédar to Garrucha. Everyone agreed it was a lovely idea, but nobody in power could be arsed to do it. Worth reconstructing that idea, I would have thought. 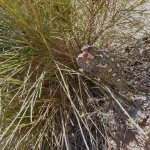 This entry was posted in Blog and tagged aerodrome, almanzora, almanzora airport, via verde, via verde almanzora by David. Bookmark the permalink. More paperwork for the Ayuntamiento to ignore! ← Previous Previous post: The tuna’s are back in Mojacar!